We are a specialty tile boutique located in Edmonton, Alberta. We provide customized tile options including hand-made ceramic and beautiful glass designs. We carry a large selection of high-quality exotic and domestic stone, as well as a vast selection of innovative porcelain products. 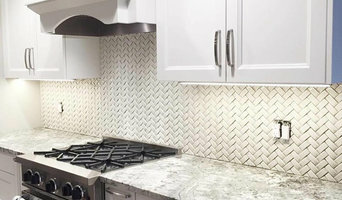 River City Tile Company can supply and install an entire project from our large range of porcelains, natural stones, and specialty tile products. We work with builders, designers, and end-users alike providing an expert view that our clients have come to rely on. Our installations are completed with only the highest attention to detail and the most durable setting and sealing materials. Due to the unique nature of some of our more innovative materials and designs we offer complimentary consultation for best installation practices. If you are already working with a flooring company we are more than happy to work directly with them to provide advice or assistance with the material carried by River City Tile Company. We are there for our clients and their installers from start to finish. Four Elements strives to be your home renovation and infill home specialist of choice. We pride ourselves in listening carefully to our customers' visions and collaborating to bring that vision to reality. This approach helps us deliver your vision right the first time! If you are looking to make a change to your home or bring an infill project to life in the greater Edmonton area, call us today! Having access to the best construction trades in the greater Edmonton area is key to our success at Four Elements. We are only as good as the trades we bring in to work on your project. Many of trades bring more than 20 years of experience with us which assures the quality of your home renovation. 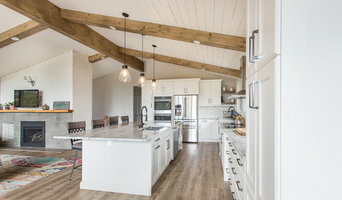 Four Elements focuses on all the elements in a home renovation project using wood, steel, stone, water, fire, and custom features above and beyond the customer expectations. Ask our customers. Four Elements focuses on the referral and repeat business that comes with doing a professional job and providing exceptional customer service and earning each new home project. We are as good as our last home renovation project. Repeat and referral business is the best form of flattery; it means a job well done. Illustrious Interiors specializes in Interior Decorating, Custom Murals, Paint Consultations, Organizing, and Home Staging with an affordable rate! We exist to assist you with organizing your life, whether that is a new kitchen, laundry, cabinets, closet systems or mudroom organization. We want to work with you to get the best result for your dollar! *Authorized Distributor of Mercier Flooring* Action flooring is a family owned business started in 1985 by David Reid. Presently actions team consists of 12 full-time sales staff. Our staff is comprised of three family members as well as many long-standing employees, one of which is currently celebrating their 25th anniversary with us. Action flooring have a great installation crew as well; working with 50 contractor crews, their experience only results in the highest quality workmanship. Over the last 30 years we have established a reputable relationship with our clients and vendors as well our employees. Come check out our newly renovated showroom and view our vast selection of flooring. Complementing our showroom is our 4,000 square feet warehouse where we stock thousands of styles of tile, hardwood and carpet, for cash and carry. Park Cabinets is a division of Camrose Custom Cabinets. Camrose Cabinets was founded over 35 years ago and has done business in Edmonton, Sherwood Park and surrounding areas for many years. In 2010, we decided we needed to open a show room to better serve clients in Sherwood Park, Edmonton, Fort Saskatchewan and the surrounding area with a more convenient option to meet their cabinetry needs. With a growing presence in the Edmonton area market we decided to also introduce a new brand name thus the birth of Park Cabinets. While it is a new name, it is still Camrose Custom Cabinets at heart! All our cabinetry is produced in our manufacturing facility in Camrose - custom made just for you. As the name signifies, we design, build and install custom wood cabinetry to fit your specific needs! The vast majority of our business is cabinetry and countertops for homes and businesses in applications such as: Kitchens Bathrooms Entertainment Centers Desks/Offices Bars Wine Rooms We serve contractors, individual builders and home owners doing their own building or renovation work. We also build and install laminate countertops to round out the cabinetry product line. If you are looking for solid surface counters like granite or quartz we also distribute these products from leading manufacturers. AMR Interior Design & Drafting Ltd.
We offer a complete range of residential design services and work hard to create an environment for each client that reflects his or her taste and lifestyle. Everyone is an individual with special requirements and every home is unique. Our professional design starts with an in depth consultation which allows us to guide you through a project, eliminating costly mistakes and creating a beautiful space on budget. We have a variety of services available depending on your needs and lifestyle; from floor plans or material selections, custom furniture or window treatments, we have you covered. Modern Era Design is an interior decorating company that truly encompasses the essence of modern interiors. We specializes in residential and commercial spaces. Our goal with each project is to add a degree of sophistication and elegance that suites the styles of each of our clients needs. We want to create interiors that will be cherished for years to come. 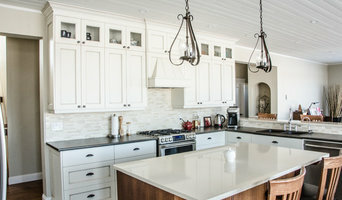 Kitchen and bath designer for Redl Kitchens in Edmonton since 2010 with design industry experience dating back to 2006. I strive for a strong balance of clean contemporary aesthetics and smart functional spaces in all my designs. Since 1987, Redl has been a family owned and operated manufacturer of luxury custom cabinetry in Saskatoon. Devoted to being environmentally friendly, Redl takes every step possible to ensure we are reducing our Eco-footprint and provide formaldehyde free and low VOC products. Revolving Rooms Interior Design Inc. Revolving Rooms is dedicated to creating alluring, fresh designs. We evolve with each new trend, incorporating cutting-edge ideas into classic spaces. 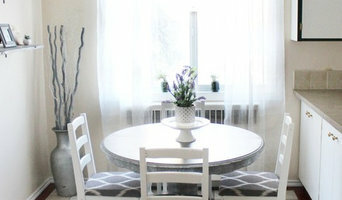 Whether you are looking to revamp your home with a new colour pallet or create a personal retreat with an entire renovation, the team at Revolving Rooms will take you from concept to completion. Reach out to multiple professionals — especially for larger projects — and don't settle for the first bid you hear. Comparing multiple Fort Saskatchewan, AB professionals' bids and experiences can help you find the one that’s best for you. Ask a lot of questions now, so you won't have unexpected answers later. Find a home design professional on Houzz. Narrow down your search by type of professional and location. 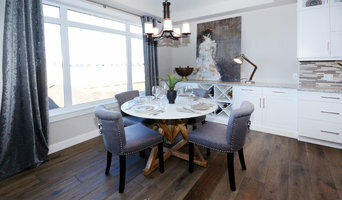 Browse Fort Saskatchewan, AB portfolio photos, read client reviews and contact each Fort Saskatchewan, AB professional for more information. Check out the information in the specialized professional sections too for tips on how to hire the right professional for your project.